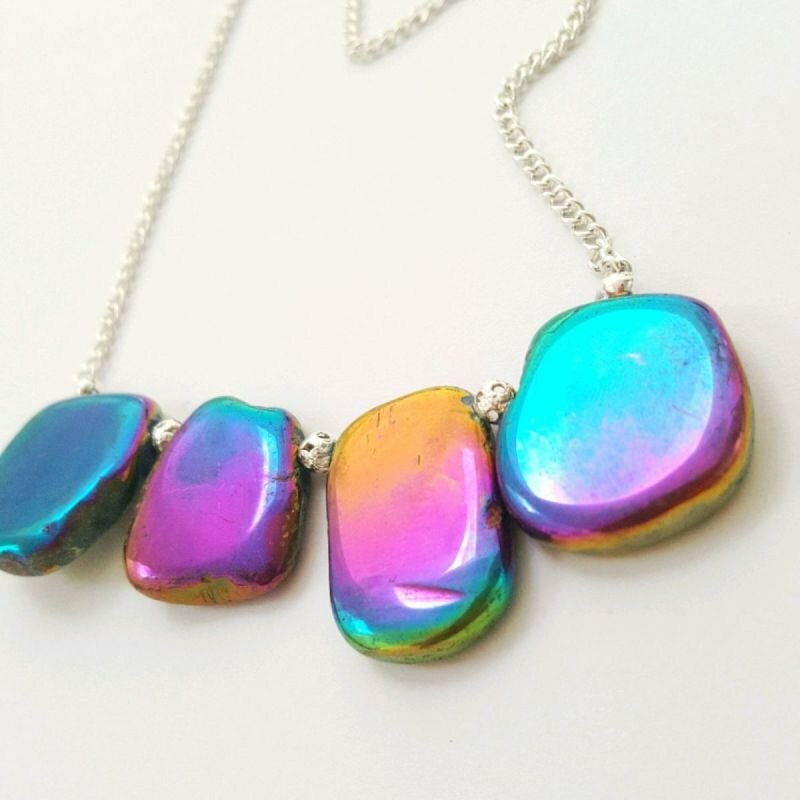 This is a really pretty rainbow druzy necklace. This druzy is a natural crystal which is a rainbow of colours, there are four slabs which are each individual and seperated with little silver spacer beads. The slabs in total measure approximately 3" by 1.3" and the necklace measures 18". The photos don't do this justice, it will go with any outfit, whether it is daytime or evening.